Robin Houghton has worked in digital media for the last 15 years, helping hundreds of business owners to adopt effective online communications strategies. She now works primarily with writers and writer communities on improving their social web presence. An experienced trainer and speaker, Robin is the author of the hugely successful Blogging for Creatives and is also a published and prize-winning poet. This is now accepted wisdom in publishing houses worldwide. But how can you create a blog that stands out and gets you noticed by the right people? Where do you even start? Start here! Packed with tips, tricks and inspirational stories from successful writers who blog, this accessible guide teaches everything you need to know to create a blog that you’ll enjoy writing, and one that people will return to again and again. No technical knowledge is required: blogging expert Robin Houghton will take you through the whole process in easy steps, and you’ll soon discover how to blog with confidence, substance and style. ~I felt the author could have gone into more detail with the monetizing chapter, the author mentioned pay-pal but not other possible options or upfront costs an emerging author would have to put forward. ~The Blogging Platforms were primarily focused on Blogger and WordPress, which was fine, but I would have preferred for the author to discuss Tumblr in greater detail. ~The social media platforms were primarily Twitter (which I didn’t have a problem with) and Google+ (the one social media application I have really struggled with). However, Robin Houghton’s book made me re-think Google+ and Facebook, so I might be willing to try to give it another go. Overall, the book contained lots of useful references, most I already knew about and use, but there were a few links I hadn’t found before and I found the blogger profiles and chapter section on Google Analytics helpful. An excellent resource for Writer’s just beginning their blogging journey. 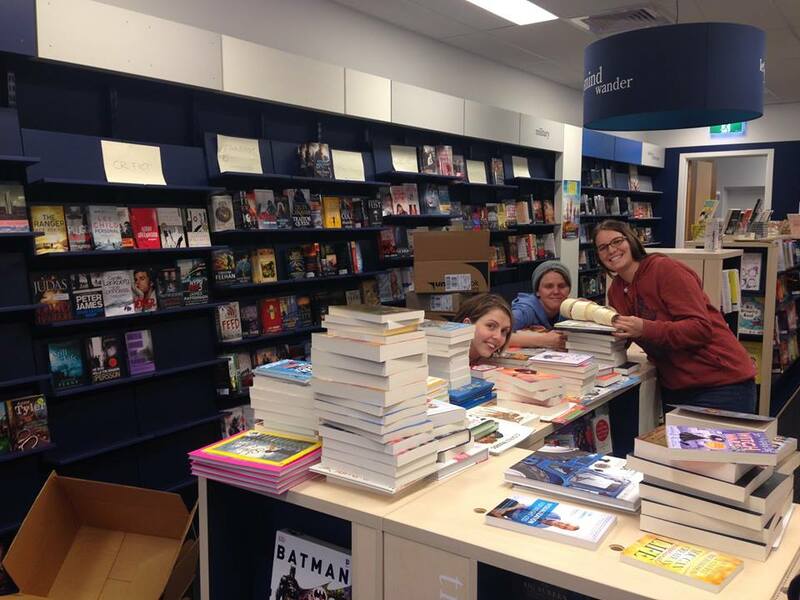 Collins Booksellers will be official re-opening next Saturday 16th May. The address of their new location is 137A/1 Main Street (opposite Bacchus Marsh Newsagency).